'Bass' tackle in the tropics. We're just back from our two weeks holiday in Tobago. Naturally the activities had to be a bit of a compromise but fishing was my main objective. I always take a couple of spinning rods (mostly in case one gets damaged - it never has up to now) and a fly rod to allow for all contingencies. I'll describe my kit in a bit more detail after I've told all the fishing tales from my recent trip. Essentially, these days, I only take my four-piece rods that will (only just) fit in my suitcase - a Surepopper, a 4Surespin and a Surefly. Exactly the same rods that I use, week in week out, for bass fishing here in Dorset. On my first morning I was up at first light and fished the beach at Crown Point - a pretty reliable spot for jacks, tarpon, snook, etc. Not a sniff. Later in the day we went to Grange beach. Amazingly, we were the only people there. 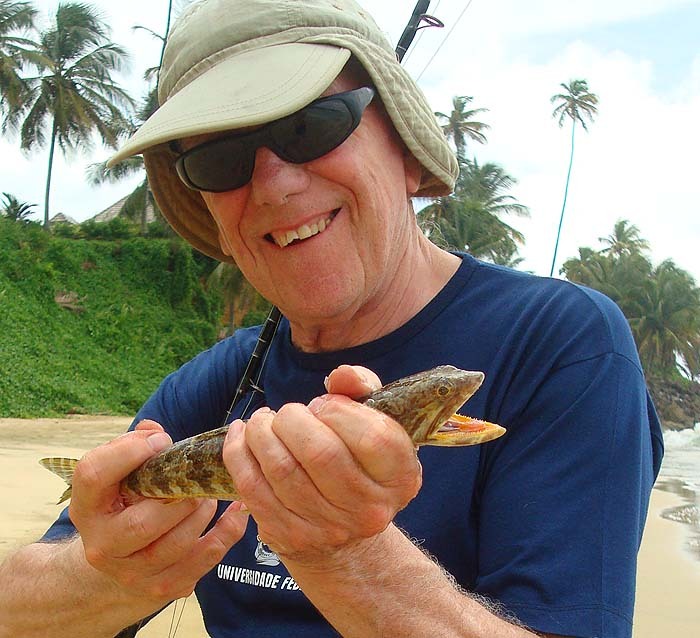 I missed (as usual) a few bites from houndfish and eventually caught one of my favourites - a lizardfish. That was my total for the day, not a good start.back at the hotel I saw a local chap spinning from the beach just outside our room. I asked if he ever caught jacks there and he said 'Yes!' but he had nothing on that occasion. Encouraged I was up fishing the beach behind the hotel (about one minute from the door of my room) at the crack of dawn. I chose to use a heavy Toby because the wind was straight in my face. 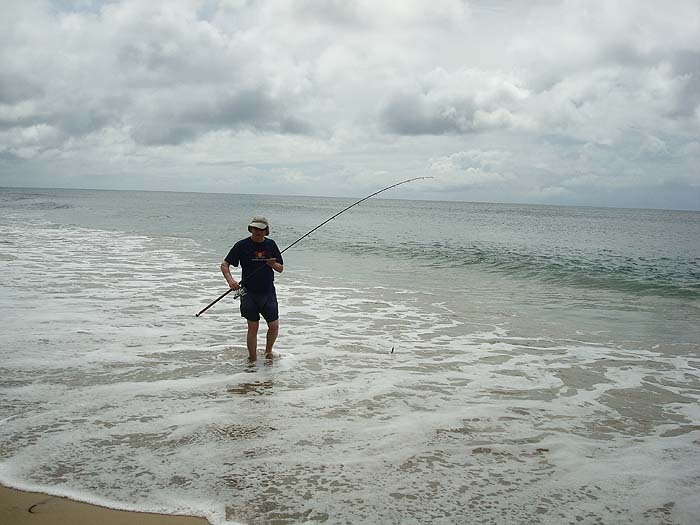 After about ten minutes I had a fierce bite and found myself playing a heavy fish which (typical jack) took lots of line before cutting the 20lb nylon trace on a rock or coral head. Bugger!!!! I packed in and returned to my room for a rethink. Forget the rest of that day. The following morning I was down on the beach again with the gear beefed up to a 40lb Amnesia trace and a big Yo Zuri slider. Sure enough, ten minutes after starting, there was a mighty boil and the lure was taken about ten yards out (as before). What a battle! 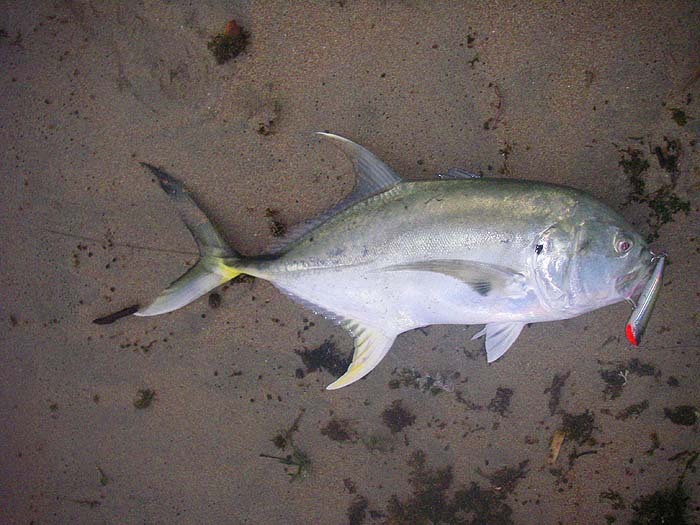 This time I managed to land my first decent fish of the trip - a sixteen pound crevalle jack. Fantastic! Not bad for starters. 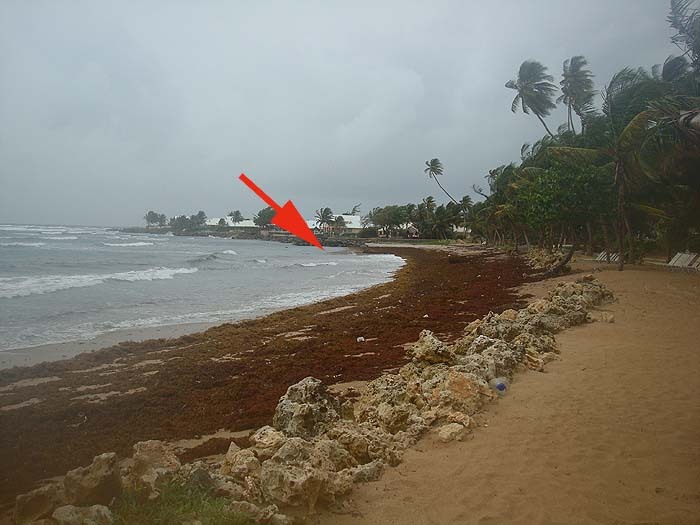 Later that day the wind increased even more, the beach where I caught the jack was covered in weed and remained unfishable for the rest of my holiday. That's fishing! I'll save the other stories for later.